About a month ago, I wrote an article titled 7 Morning Rituals That Will Change Your Life. People enjoyed the article in general, but one of those morning rituals, in particular, interested a great number of people. The morning ritual? You guessed it- tea meditation. It's because of the response I've gotten that I decided to write an article exclusively on this beautiful meditation practice. I practice tea meditation every morning as soon as I wake up (around 3 A.M.). It not only is its own beautiful practice, but it acts as the perfect complement to my sitting meditation practice, which can be difficult to do when first waking up early in the morning (more like impossible oftentimes). The caffeine in the green tea I drink helps wake me up and allows me to be just as alert as I need to be for my morning meditation practice. But that's just the start of it. This simple tea meditation is an altogether beautiful and nourishing practice which brings me a greater sense of peace and helps cultivate a strong sense of gratitude in me. It's for this reason that it's quickly become one of my most favorite forms of meditation. 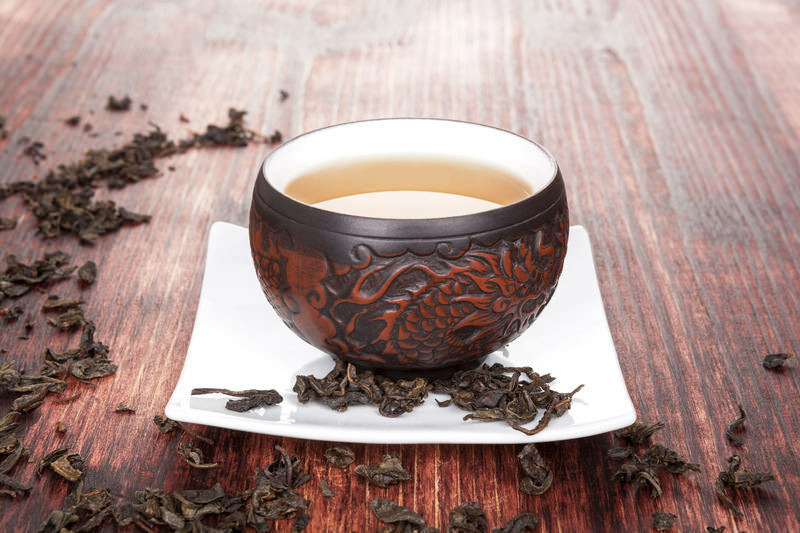 Tea, originally used for medicinal purposes, was born in China some 1800 years ago (about 200 A.D.). Fast forward a few hundred years and tea had transformed into a popular drink across all of China, at one point being China's official "national drink". Tea came to Japan years later when a Japanese Zen monk by the name of Eisai Zenji, who was studying in China as many Zen students of that time did, brought tea seeds back to his country in the 12th century (around 1100 A.D.). Tea was quickly adopted by the Japanese and became an important part of the Japanese culture. Zen monks even adopted it as a way to stay awake during their meditations. But even outside of that, tea fit perfectly in with the life of a Zen monk. The powerful aroma, calming qualities, and ordinary everyday nature of drinking tea made it an easy inclusion in the daily life of the Zen monk who made it their "life's mission" to find satori (enlightenment, or sudden awakening) in the midst of typical everyday activities. Tea then naturally evolved, at least for those students of Zen, into yet another beautiful form of meditation. The Japanese tea ceremony, or "chanoyu", is inseparable from Zen. As I mentioned above, it itself is a form of Zen meditation. The Japanese tea ceremony can be summed up by the Zen phrase "ichi-go ichi-e", which means "one time, one meeting". The phrase is meant to remind us of the beauty and uniqueness of the present moment and that life is transient or ever-changing and impermanent. This is exactly how the Japanese tea ceremony is performed. In Japan, this would usually be performed by two people, who would create no less than an experience from the simple and ordinary act of drinking a cup of tea. Aware that this moment is totally and completely unique, and will never come again as it is right now, you drink your tea with complete awareness and appreciation of the moment. Another interesting note about the Japanese tea ceremony is that it's not just about being fully awake in the moment, it's also about living the moment with an open heart. Those who would prepare the tea would do so with every consideration of their guest, and both people would be completely present for each other's company. "First you must make a delicious bowl of tea; lay the charcoal so the water boils; arrange the flowers as they are in the field; in the summer suggest coolness, in the winter, warmth; do everything ahead of time; prepare for rain; and give those with whom you find yourself every consideration." The student was disappointed with this response and said he already knew all that. Rikyu told him if he could do all that well, then Rikyu himself would be his student. Of course, the student missed Rikyu's full message. To simply do those things in the ordinary way is easy, but to do them fully with mindfulness and an open heart, that is, to absolutely and completely give every ounce of yourself to the moment of preparing and drinking the tea, and to give yourself fully to the person with which you were drinking the tea with, is what he really meant. And that is no easy task. The Japanese tea ceremony is quite a ritual, and depending on what school (yes, there's schools!) you follow the ritual will be different. But I feel that, while at times beautiful and meaningful, these rituals often dilute the essence and overcomplicate that which should be kept simple. You should do everything- from each step of preparing your tea, to sitting down, to drinking your tea, to finishing, and cleaning up- in mindfulness. No matter how you choose to prepare your tea, what tea you drink, where you drink your tea, do so carefully with a complete awareness of the present moment. Give yourself completely to the entire process of preparing and drinking your tea. Once your tea is made, find a nice quiet place for you to sit and drink it. Once you've sat down, take a moment before starting to "simply sit" with your tea. Notice the aroma of the tea, admire the look and color of the tea, and imagine the delicate balance that had to be kept for the tea to go from being a leaf on a tree (likely from another country) to becoming the delightful cup of tea in front of you. Before you begin drinking, take a moment to give thanks for the cup of tea in front of you. Contemplate for a moment on the fact that people all around the world don't even have clean drinking water, yet you can sit and enjoy an amazing cup of warm tea whenever you so choose. Appreciate the cup of tea and everything that had to happen, and the careful balance that had to be maintained, for you to experience this amazing cup of tea. Express your gratitude for all those things which helped make your cup of tea a reality, and for a moment expand that thought to yourself and the knowledge that you also depend on infinite living and non-living things to exist as you are now in this moment just as the tea does. Sit with those feelings for a minute or two before beginning. This is the main event. Your tea has been prepared, you've expressed your appreciation, and now it's time to drink. All you have to do is drink your tea fully with mindfulness. Take it slow, only drinking very small sips at a time. You should be taking your time and really savoring every sip. Specifically, while you drink, your object of concentration can be various things. I often focus my mindfulness on the raising of my arm, and then of the sip, swallowing, then lowering of the arms, and lastly take a few nice deep breaths before taking another sip. This should be cycled throughout the length of the meditation. And as usual, any thoughts, feelings, or sensations that arise while doing each individual activity simply gets gently acknowledged and I proceed to go back to my object of meditation. Fully commit to the act of drinking your tea, whether you're with someone else or alone. Be fully awake for the practice of drinking your tea, understanding that this moment and this tea will never exist again. Once you're done (again, the length of your meditation is up to you, it could be 10 minutes and it could be one hour), give thanks once again like you did in the beginning. It's important to finish the practice like we started, helping put the tea, and the meditation, in perspective. Tea meditation is a perfect example of that fact that you can experience magic in even the most ordinary activities of your everyday life. Whether you're drinking tea alone or with a friend or loved one, be fully awake for the drinking of the tea and open your heart to the world around you. Learn how to do this and any everyday activity can be transforming.